MESA, AZ -- (MARKET WIRE) -- September 19, 2006 -- YP Corp. (OTCBB: YPNT), a leading provider of nationwide Internet Yellow Pages and related services, today announced that its Board of Directors has formally selected Daniel L. Coury, Sr. as its Chief Executive Officer. 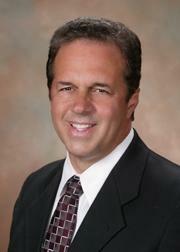 Mr. Coury has served as the Company's Chairman of the Board and its interim CEO since January, 2006. In connection with this appointment, the Board has separated the roles of CEO and Chairman and named Joseph Cunningham as the non-executive Chairman of the Board. Mr. Cunningham has served as a director since January, 2006 and is currently the Chairman of the Company's Audit Committee. Mr. Coury stated, "We feel this restructuring of positions and authority will greatly strengthen our executive management and Board of Directors as a group, leading the company to further profitability and enhanced stockholder value, consistent with our long-term strategic plan. Moreover, the separation of Chairman and CEO positions reflects the Company's commitment to proper corporate governance." -- Joseph Cunningham brings broad leadership skills as a corporate CEO to his role of Chairman of the Board, as well as specific financial expertise relevant to his position as Chairman of the Audit Committee. -- Dan Coury's extensive experience as a YP Corp. Board member, his proven track record as the Company's interim CEO, and his prior CEO experience, along with his history of entrepreneurial success, positions him well to pursue expansion opportunities with outside partners. Under Coury's leadership as Chairman of the Board and interim CEO, the Company and its stockholders have enjoyed outstanding financial performance over the past three quarters with revenues increasing 68% and net income improving to $1.2 million for the third quarter. This also occurred in a context of continuously improving margins over those three quarters. Coury will now focus on ensuring that the investment community understands the Company's strategic plans and objectives. -- John Raven, the Company's Chief Operating Officer, who has been a critical component in the Company's recent success, will direct teams that will focus on additional product and market offerings to the Company's natural target base of individual businesses. Raven brings sixteen years of leadership in technology-related enterprises and strong direct functional experience and education to the company. Commenting further, Coury stated, "Our strategic plan developed in August, 2006 calls for several additional initiatives to be implemented in the months ahead. This restructuring of key positions at YP Corp. will strengthen our ability to pursue and successfully accomplish these new initiatives, which, in turn, provides enhanced value to our stockholders." YP Corp. is America's Local Online Yellow Pages™ and offers businesses a simple and affordable way of creating a web presence and marketing their products and services to local audiences online. The Company offers an Internet Advertising Package which provides advertisers preferred placement in yellow page search results and their own Mini Webpage™ where they can provide potential customers with details about their products and services. YP Corp.'s mission is to be the preferred internet local Yellow Pages by offering our advertising customers a superior marketing platform to grow their businesses and to provide them with a caliber of service unsurpassed in the industry. This press release may include statements that constitute "forward-looking statements," which are often characterized by the terms "may," "believes," "projects," "expects," or "anticipates," and do not reflect historical facts. Forward-looking statements involve risks, uncertainties and other factors that may cause actual results, performance or achievements of YP Corp. and its subsidiary to be materially different from those expressed or implied by such forward-looking statements. Specific forward-looking statements contained in this press release include, but are not limited to, (i) the Company's contemplation of future profitability and enhanced stockholder value; and (ii) the Company's expectation that it will pursue and successfully accomplish additional initiatives. Factors that may affect forward-looking statements and the Company's business generally include but are not limited to (i) the risk factors and cautionary statements made in the Company's Annual Report on Form 10-K for the fiscal year ended September 30, 2005; and (ii) other factors that YP Corp. is currently unable to identify or quantify, but may exist in the future. Forward-looking statements speak only as of the date the statement was made. YP Corp. does not undertake and specifically declines any obligation to update any forward-looking statements. About this company YP Corp.
Mr. Daniel L. Coury, Sr.